Anyone interested in exploring DNA and has dreams of owning their very own portable DNA laboratory, may be interested in a new system which has been released by Bento Lab, and provides everything you need to analyse and learn more about genetics and DNA. The Bento Lab portable DNA laboratory has been specifically designed to be used by anyone, and is capable of providing everything you need to take a biological sample, extracted DNA and carry out simple genetic analysis on it. The Bento Lab includes a centrifuge to extract DNA from a biological sample, a thermocycler to targets a specific piece of the DNA and an illuminated gel unit that allows you to visualises the DNA and analyse it in more detail. Watch the video below to learn more about this very unique laboratory kit which has taken to Kickstarter to raise the £40,000 it requires over the next 30 days to make the jump into production. 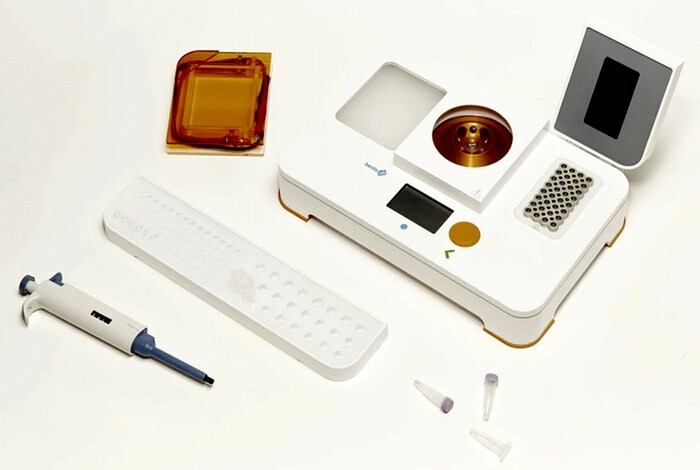 The designers of the very unique DNA lab kit explain more about its inspiration and functionality. For more information on the new Bento Lab portable DNA laboratory jump over to the Kickstarter website for details and the ability to make a pledge from £549 to own one of the very first of the production line.